As you can imagine, we have seen a lot in 27 years of business – encompassing bull, bear, and “sideways” markets alike. In fact, most of our sales team – including our Co-Founder, David Schectman – started brokering Precious Metals in the early 1980s. 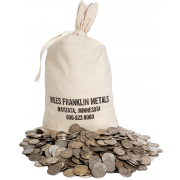 Thus, when you call Miles Franklin, you will assuredly speak to someone who not only understands the myriad issues facing Precious Metal investors; but has, on average, more than 25 years of experience. Throughout the years, dozens – if not hundreds – of competitors have come and gone. Some, due to the pressures of bear markets; some, poor management; some, inadequate financing; and others, shady – and at times, illegal – business practices. 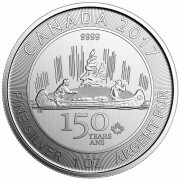 Given how difficult it is selling Precious Metals to a paper-centric society; where prices are suppressed by the government; and anti-gold propaganda ubiquitous; the fact that we’ve survived and thrived should tell you all you need to know about our work ethic, business principles, and perseverance. In fact, we are one of just 27 U.S. Mint approved bullion dealers; and since opening our doors in 1989, have not had a single registered complaint. Not at the Better Business Bureau – where we have an A+ rating. Not in internet chat rooms. Not anywhere. We have traded more than $5 billion of metal over that time – the vast majority, client purchases; and during that time, have never lost a package or payment, coming or going. No one has accused us of low-balling sellers; bait-and-switching buyers; or peddling “numismatics” to boost margins, at the expense of our clients. And I assure you, they never will. Let’s face it, in an industry where product is commoditized, we must differentiate ourselves with superior service. However, mere hand-holding is itself a commodity, so we have done everything in our power to differentiate further, on a variety of fronts. That said, the most valuable service we can provide is peace of mind; as let’s face it, Precious Metals are, in nearly all cases, big ticket purchases. Thus, when you send us a wire, or write us a check, you are trusting that we will not only uphold our fiduciary duty, but do so in a manner that never leaves you doubting yourself – or our ability, and willingness, to give you what you ask for, when you want it. Such “peace of mind,” in and of itself, is a major reason why Miles Franklin’s clients are so loyal; and why, as the majority of our competitors closed their doors, ours remain as wide open as ever. To that end, don’t for a second ignore the vital fact that, unlike the securities industry, Precious Metals dealing and storage are nearly entirely unregulated. Which means, in nearly all cases, you have essentially no recourse – other than in civil court – if you are, or believe to have been, defrauded. Which consequently, has been a major risk in our business for as long as we have been involved. That said, one state recently took it upon itself to regulate Precious Metals. And what do you know, it happens to be our home state of Minnesota. Thus, for the past three years, we have had to post a large surety bond, and have all our employees background checked each year. In fact, the regulatory – and ethical – standards we are held to are so high, many competitors stopped selling in Minnesota altogether! In that vein, I believe Miles Franklin’s “service offering” far surpasses industry averages; although of course, our goal is not to be merely “above average”; but instead, the “gold standard” of innovation, competitiveness, and ethics. 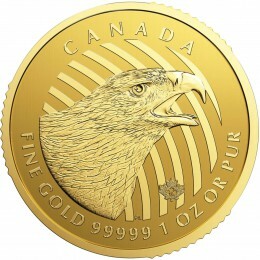 One such example is our Brink’s Montreal and Vancouver storage programs – which we believe are unsurpassed industry-wide, in offering a unique combination of full segregation; pricing by the ounce (as opposed to percentage of bullion value); and the ability to either view your metal personally, or have it delivered to most addresses worldwide. Moreover, our firm’s officers – including President and Co-Founder Andy Schectman himself – personally accompany our third party auditor, Inspectorate, in the bi-annual audits. Trust me, I know, as I have been on hand to see my metal personally counted. Another is the Miles Franklin Blog, which David Schectman started more than a decade ago, and continues to write for today. As for me, I not only do my best to post cutting edge, diverse content each and every day, but tape 2-3 podcasts each week; all of which, is posted in real-time by our top notch editing team. All of it, for FREE. And don’t forget the FREE presentations Andy Schectman and I have been hosting throughout the country – such as the wildly successful Minneapolis event we held this weekend, a three-plus hour event attended by nearly 150 people. Additionally, we guarantee the industry’s highest “buy-back” price, particularly for clients that initially purchased metal through us. Which, by the way, is a major selling point, as many competitors will sell product at miniscule – in many cases, loss-leading – prices, only to recoup such “generosity” with usurious bid-ask spreads when clients need to sell. At Miles Franklin, we not only provide superior liquidity, but focus sales efforts on the highest liquidity (read, lowest commission-generating) products, to make sure our modus operandi of client protection is prioritized above all else. Why did I write this article, you ask? Yes, I am the firm’s Marketing Director, I know. However, the specific catalyst was the increasingly aggressive pricing tactics of certain industry competitors – which like Tulving and Bullion Direct before them, should raise significant alarm bells to anyone savvy to the bullion dealership business. That said, we are constantly solicited by clients – and prospective clients – asking us to “compete” with such offers, despite the fact that at best, we’d break even on such deals; and at worst, lose money. Given the valuable services we provide, we do not understand why anyone would care so much about price, as to ignore all we offer for the scant margins we generate in even the best industry conditions. 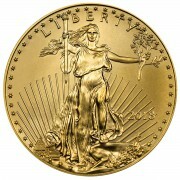 I assure you, as a primary U.S. Mint dealer, we can compete with nearly any price offer – so if we tell you we can’t “beat” someone, it is because they are either offering at, or below cost. Not to mention, the loss of our valuable time in pursuing non-profitable business; as despite operating “lean and mean,” we would quickly go bankrupt if we practiced such reckless, suicidal practices. Which, we suspect, anyone consistently pricing the manner of Tulving and Bullion Direct will inevitably experience. To conclude, we simply ask you to consider that while price is certainly important – and trust me, we can compete with any reasonable offer – it is far from the only discerning factor. In a largely unregulated industry (except Minnesota); in which big-ticket purchases are commonplace, the peace of mind of dealing with the one of the most highly reputed companies is certainly worth something. As is the industry’s highest buy-back price; best storage program; most experienced sales team; and – to toot my own horn – best educational platform. Again, we are not looking to “make a killing”; which, based on the decidedly commoditized nature of PM pricing is essentially impossible. But instead, to simply be compensated at the going market rate. Which, we cannot emphasize enough, is typically undercut only by firms posing significant risks to investors.